Title companies continuously face the challenge of retaining top talent. Establishing a mentoring program is one value-add that can extend the longevity—and loyalty—of employees. If your company does not have a mentor program, encourage your team to seek mentors to help them grow as leaders. The most effective mentoring relationships are not company assigned and they often grow out of friendships, as Betsy Russo and Elizabeth Daniel NTP can attest. Russo, president of MCP Title Services in Maryland, and Daniel, vice president of operations for Continental Title Company in Kansas, recently shared the bond they’ve developed over the years as ALTA members and as mentor and mentee. Many ALTA members join to keep up with industry trends, regulations and changing customer expectations. 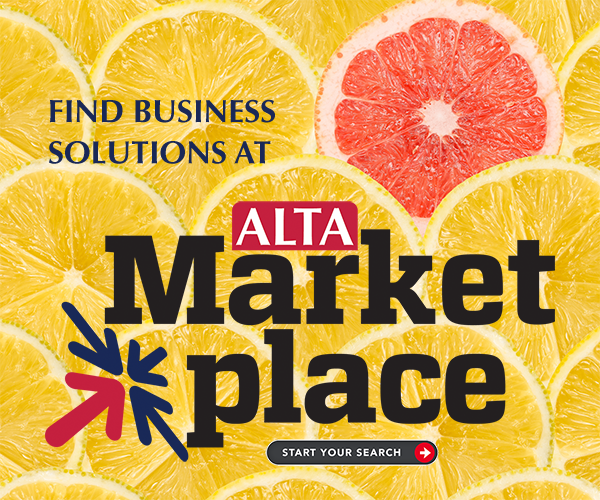 In addition to providing valuable information, ALTA meetings and committees also offer numerous opportunities for networking with other industry professionals and leaders. Russo has been in the title industry for more than 30 years, starting with her first job as a teenager at her father’s title agency. Daniel had been in the industry for over 20 years. They met at an ALTA conference several years ago. Their connection grew via their work on the Membership Committee and as mothers of sons. They formalized their connection over a year ago when Elizabeth asked Betsy to be her mentor. The key for anyone wanting a mentor, according to Daniel, is that you need to be teachable, open about your goals and clear about expectations. Russo correlates mentoring to developing a personal board of directors for your career—a group of people you consult regularly to get advice and feedback. She credits her husband, Mike Russo, for the idea to create her own board. Daniel said you need a growth mindset when seeking a mentor or developing a personal board of directors. Russo added that good leaders are always students and should always be learning. Mentoring adds purpose to the experiences and helps mold the industry’s next generation. “The goal is to create other leaders; not mini-mes,” Russo said. ALTA provides ambassadors—industry veterans to foster first-time attendees at its major conferences. The ambassadors help the first-timers learn their way around the events to get the most out of the experience. Russo and Daniel encourage any ALTA member to request an ambassador at the next conference. To learn more about the program, email Taylor Spolidoro, ALTA’s director of member engagement and development, to taylor@alta.org.